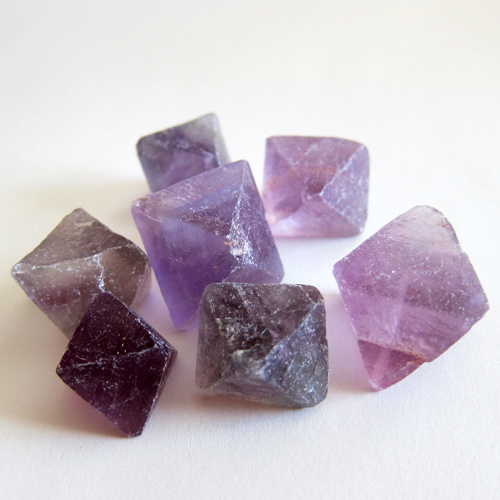 Dimensions (HxWxD): 0.75" x 0.75" x 0.75"
These small Purple Fluorite Octahedrons are around 3/4 of an inch to 1 inch in diameter and weigh anywhere from 6 to 21 grams each. You get 3 of these beauties for $10! They are the perfect size for use in meditation, or to place on a person's body during energy healing sessions, and fit easily in your favorite pouch or medicine bag. Note: Above weight is shipping weight. Net weight varies from 6 grams to 21 grams each. Size also varies from .75" in diameter to about 1" in diameter. 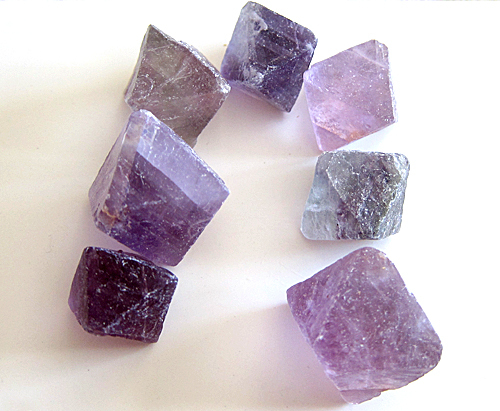 Each set of fluorite octahedrons is carefully selected for you and we only choose the ones we'd like to have ourselves.